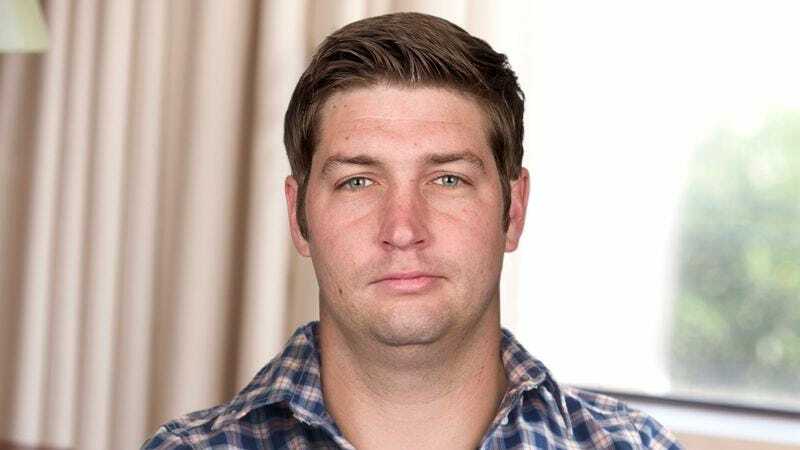 CHICAGO—Telling reporters that it marked a joyous occasion for him as a father, Chicago Bears quarterback Jay Cutler proudly watched his 1-year-old son throw his first-ever temper tantrum Monday. “Hey, looks like my boy had himself quite the hissy fit, just like his old man,” said Cutler after his son Camden reportedly exploded into a tearful rage in response to dropping a juice box handed to him by a staffer at his daycare, screaming and pounding his fists on the ground for several minutes. “My little guy’s barely even a year old, and he’s already throwing tantrums like his dad does on TV. He even stormed out of the room and sulked afterward. Yep, he’s a regular chip off the old block.” Cutler noted that he further swelled up with pride upon watching his son blame his mistake on the other kids.